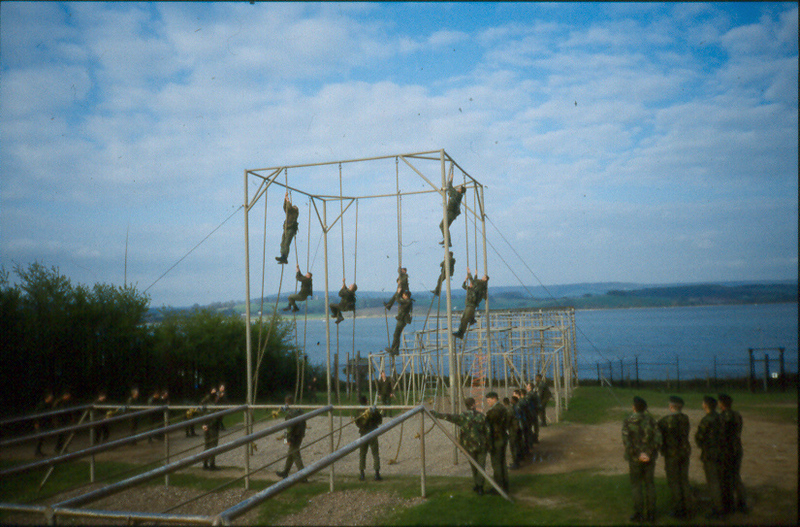 After 8 months at the Commando Training Centre at Lympstone in Devon, trainee Royal Marines are nearly ready to begin the month long Commando Course. At the end of this, if they are successful, they will be awarded their green beret. These tests follow months of preparation and practice, and by the time a trainee gets to attempt them he is probably fitter than he has ever been. And he knows that if he passes these tests he's got a good chance of making it through the Commando Course itself. In my intake of trainees, all bar one of us passed our Bottom Field Passout one Friday in April, and we felt like superhumans. At a party that night we discovered some naval officers and they, together with various hapless members of the public, were thrown into a nearby swimming pool. We felt invincible and probably immortal too. The staff selected to train Royal Marine young officers are all weapons specialists. However, many of them are also snipers. These men are experts in camouflage and concealment, and crack shots. They operate largely alone and roam the battlefield with one objective: to kill officers. As a result, Royal Marine young officers have a good reason to listen very carefully to the lessons they are taught: they are learning from their own natural predators. By understanding the mindset and habits of the sniper the officer improves his chances of staying alive and in command. "Twelve pence gentlemen, twelve pence"
We stood in disbelief. Colours Inglis' temper was famous and none of us wanted to tempt fate. Colours paused for effect with the rhetorical skill and timing of a master. He paced up and down in front of us repeating "twelve pence" slightly more quietly a couple of times, like a thoughtful echo. We wondered if this was a new game which would lead us out onto the estuary mud flats for an hour or two of staggering through the mud, or whether Colours was for some reason sharing a minor personal financial problem with us. We stood uncomfortably wondering what was to follow. He stopped pacing and turned towards us, looking at each of us with a sincere expression. "Twelve pence is the cost of the bullet that will kill any one of us," he said. Fitness and toughness, mental and physical, are great qualities - but some challenges render them useless. 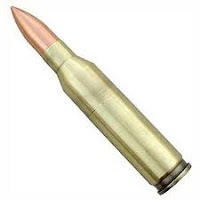 A lead bullet traveling at 3 times the speed of sound can outrun anyone and smash through the strongest muscle, just as illness or accident can upset the best laid plans of any of us. We are all equal before misfortune, and we are all vulnerable to it. Humility gives us an accurate picture of our strengths and our vulnerabilities, so we are able to avoid hubris. Humility also makes it easier to empathise with others, and so to be unselfish - one of the 4 ingredients of the Commando ethos. By choosing to say "us" not "you", Colours Inglis highlighted that humility is the great leveler. A bullet does not discriminate between the strong and the weak, the good and the bad, sergeants and officers, Royal Marines and civilians. Like many people, Royal Marines push themselves to achieve, and to compete. They grow in strength and confidence. But this steel is tempered with humility so they are less likely to overestimate their abilities, and more likely to help those who are less able than themselves.